I first went to the Sharklab in January 2001 as an undergraduate course student from the University of Miami’s Tropical Marine Biology class taught by Dean Grubbs. 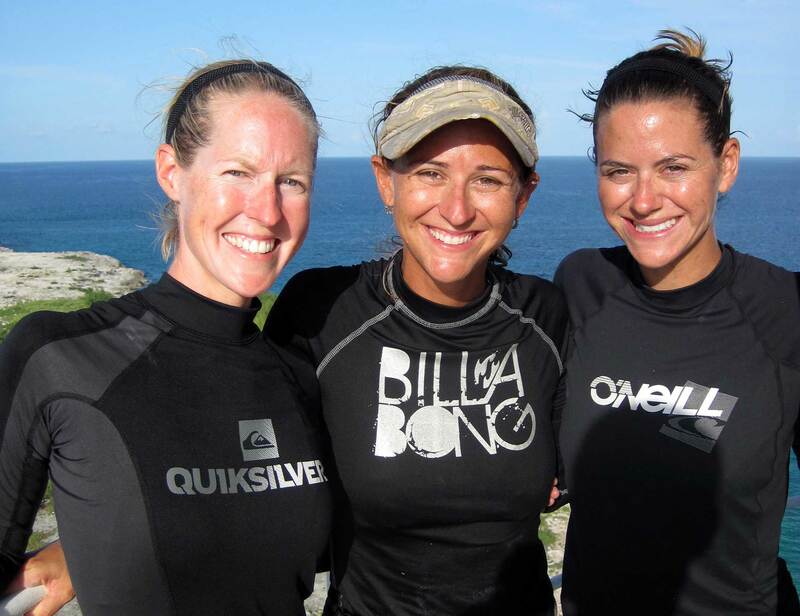 The experience was so incredible that four years later, when I decided I wanted to do a PhD but needed more field experience before applying to graduate schools, I knew the Sharklab was exactly where I wanted to volunteer. So, in 2005, I took a sabbatical from my marine policy career in Washington, DC and headed back to Bimini as a volunteer for 2 months under Bryan Franks, the PI at the time. Before I made it to Bimini, however, Doc invited me to participate in the 2005 Marquesas tagging cruise. During my time as a Sharklab volunteer in 2005, I heard stories about the PIT project and knew I wanted to experience it firsthand. I returned again as a volunteer in the summer of 2006 for PIT. A glutton for punishment, I came back again in 2007 for not only PIT, but also another Marquesas trip! By spring of 2008, I was several months into the PhD program at the University of Miami. In the years I had volunteered at the Sharklab, I had seen a resort being developed on the north island, inside one of the lemon shark nurseries. In developing a dissertation project, I turned to Doc for guidance. I wanted to investigate the effects of that habitat loss on the sharks. He thought it was a great idea, and asked me to be the next PI once Steve Kessel and Tristan Guttridge were finished. 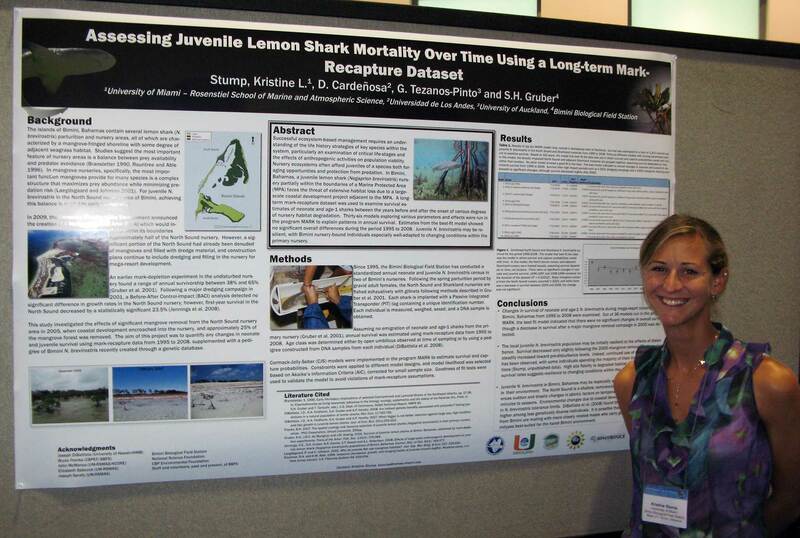 So, from October 2008 to October 2011, I served as the Sharklab’s PI. It was a dream come true! My first experience working with Doc was in the Marquesas in 2005, when I was a wide-eyed, naïve first-time volunteer. The weather deteriorated so badly one night in advance of a storm that our charter captain wanted to go back to Key West. When we tried to set the gillnets from our skiffs, the conditions were so rough and current kicked up that the lead-line wouldn’t even stay down. When we relayed as much to Doc back on the main boat, he told us to drive up into a mangrove channel, tie off, and wait out the storm. Over the radio, we could hear the captain yelling in the background to have us come back because we needed to get back to Key West. After an interminable radio silence, Doc came on and called us back. We motored back to port, where we finally saw a radar image of the storm on TV for the first time. It was Hurricane Katrina. In other words, Doc wanted us to ride out the hurricane of the century in a skiff tied to a mangrove in the middle of nowhere. That’s when I learned that working for Doc would always be an adventure! From hurricanes to sharks, gasoline fumes to setting anchors, inclement weather to boat propellers, lightning strikes to plane crashes, the adventures I’ve survived working at the Sharklab make everything else I’ve ever done look safe. In fact, “real life” can be frustratingly boring for us adrenaline junkies who crave the kind of rush that “Sharklab life” often involves. 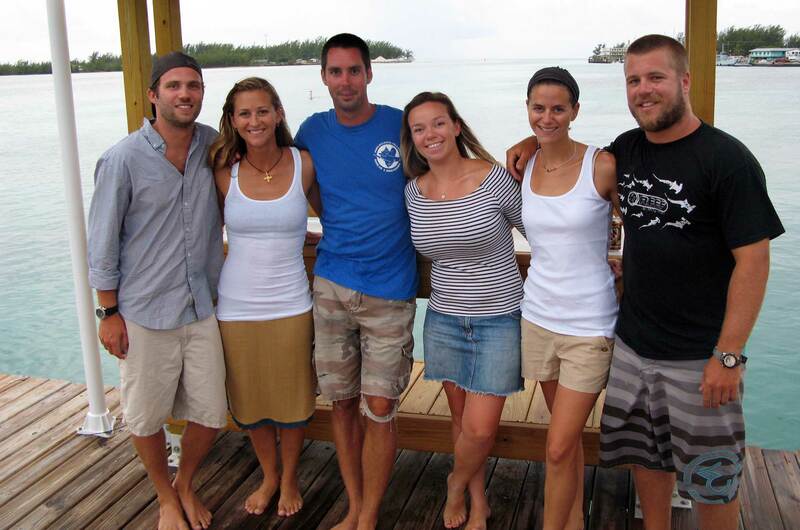 Crossing paths with Doc and the Sharklab changed the path of my life, both professionally and personally. I made life-long friends over my years at the lab, and I’m pretty sure that I could work my way around the world and have a couch to sleep on at every stop along the way. 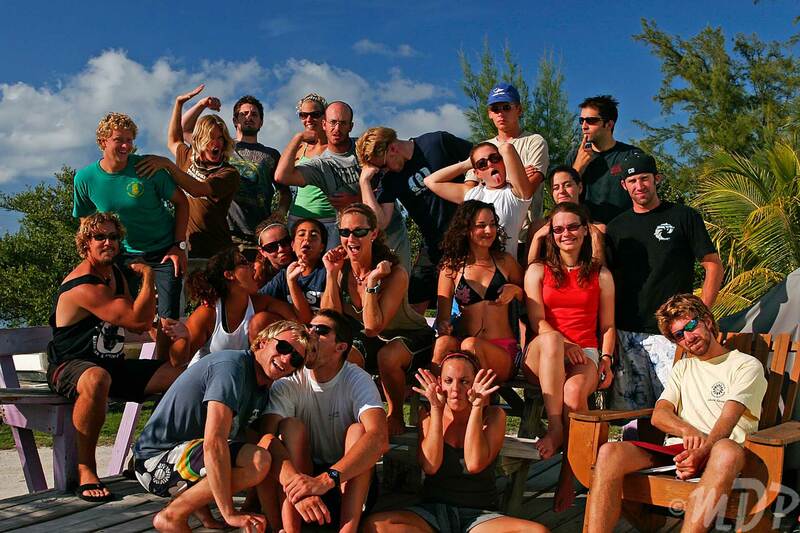 Even when Sharklabbers who went through Bimini at different times meet, there is camaraderie from having survived a unique, shared experience. The life skills I learned while at the lab are invaluable everywhere. When you live and work in a place where you have to make do with the materials you have on hand, you find a way. The work ethic necessary to be a part of the Sharklab is one of the best lessons to be learned. Professionally, I could not have done my PhD without Doc. When I arrived at RSMAS, my original dissertation funding source fell through. When Doc took me in as the PI, he covered in full not only the complete expense of my fieldwork (equipment, fuel, boats, maintenance, manpower, etc. ), but also room and board for three years. I absolutely would not have a PhD without Doc’s generosity! Now that I am a postdoc working on a new research project, I have been able to collaborate with other former Sharklabbers, like Kevin Feldheim, because of our mutual Bimini connection.